We had to go to the Smart dealer in Buffalo to pick up Aaron's repaired Smarty. 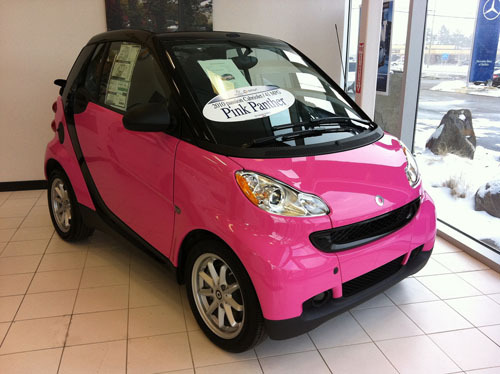 I nearly passed out when I walked in and saw this pink Smart Car! 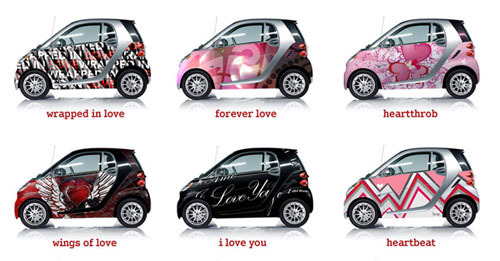 You can get so many cool colors and patterns for the Smart Car. We should have just updated the look of Aaron's while it was being fixed! 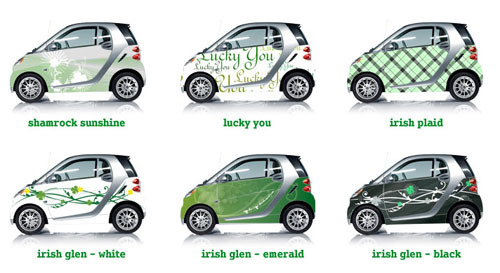 I so want one of the Hello Kitty ones.... Although somehow I don't my husband would share my enthusiasm! Cute! I'm liking Wings of Love and Irish Glen- white. Although too small for my comfort level living in a huge city, I like that you can zip in & out just about anywhere. Love, LOVE the heartbeat one!